Welcome to Spodcast, the sports update on Firstpost. The coach of the Indian men's hockey team — Harendra Singh — was sacked yesterday after a disappointing 2018. He was offered the position of coach of the junior team by Hockey India. 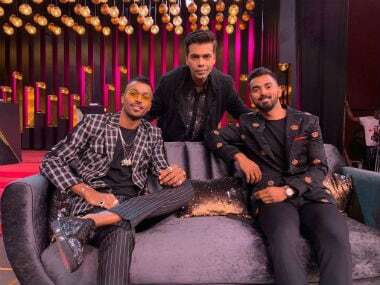 Indian cricketers Hardik Pandya and KL Rahul had kicked off a controversy after making inappropriate comments about women on the TV show Koffee With Karan. The BCCI had taken exception to remarks by Pandya and Rahul who had appeared on the show hosted by filmmaker Karan Johar. It issued show cause notices to both cricketers and gave them 24 hours to offer an explanation. Some good news from table tennis now. Veteran player Sharath Kamal won a record ninth national men’s title following an intense final match against G Sathiyan. With this win, Sharath broke the long-standing record for most national titles held by former player Kamlesh Mehta. The women’s title was won by 18-year-old Archana Kamath who defeated Krittwika Sinha Roy 4-2. The score line read 12-10, 6-11, 11-9, 12-10, 7-11, 11-3. An update from the I-League, where the action is hotting up. Mohun Bagan’s new has coach Khalid Jamil got off to a winning start after his team defeated the defending champions Minerva Punjab 2-0. This Mohun Bagan side dominated the game against Punjab, who failed to create a single scoring opportunity in the first half. Omar Elhussieny scored for Mohun Bagan in the 30th minute while Cameroonian forward Aser Pierrick Dipanda Dicka scored the second goal in the 69th minute. The win over Punjab keeps Mohun Bagan's title hopes alive, if only just. They remain at sixth place in the points table, with 18 points from 12 matches. In news from the Ranji Trophy, Bihar spinner Ashutosh Aman broke a long-standing record set by Bishan Singh Bedi to become the highest wicket-taker in a single Ranji season. He has now taken 65 wickets in the current season, overtaking the record of 64 wickets set by Bedi in the 1974-75 season.